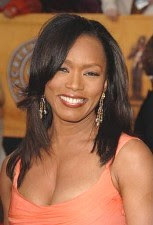 Actress, Angela Bassett was the hostess of the PAGEANT OF THE MASTERS GALA BENEFIT held on Saturday, August 29, 2009 in Laguna Beach. Most of the cast of "Criminal Minds" attended, including SHEMAR MOORE. Pictures from the event are posted in the SHEMAR TALK section of SHEMAR MOORE'S PARADISE. One of the season's best episodes of CRIMINAL MINDS will air on Wednesday, September 2 at 9:00 p.m. ET/PT on CBS. "Omnivore" is significant for a few reasons. Our usually stoic BAU leader, Aaron Hotchner (Thomas Gibson) dislays a rarely seen side to his personality. There is a wonderful scene with Hotch and Agent Rossi (Joe Mantegna) which shows the warmth that Joe has brought to the role of senior profiler, a characteristic that was sorely missing when Mandy Patinkin had the part. Also, after a three season wait, we get to see Derek Morgan/SHEMAR shirtless. C. Thomas Howell guest stars.